This is the time of year I see lots of black cats up for adoption, and I get a deep-dark-empty-pit-feeling in my stomach. 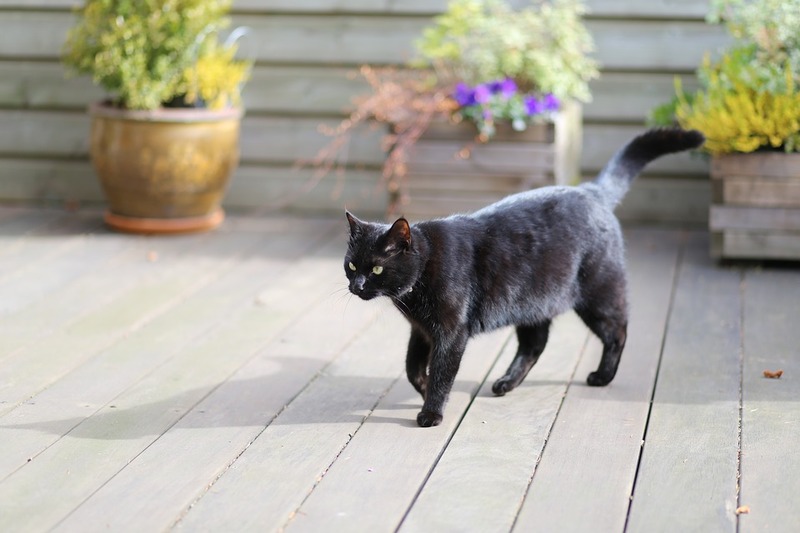 I'm going to throw this out there, but I'm sure you already know if you're reading my blog, that black cats are not Halloween decorations! They can be a friend and part of the family. Don't look to them just because of the season. 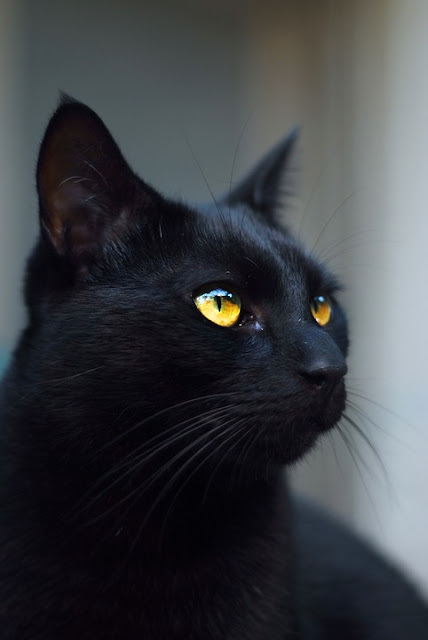 Cats will choose you as a companion, consider yourself lucky if a black cat loves you. When they select you, they are open to relate to you on a deeper level and they can feel like your familiar. 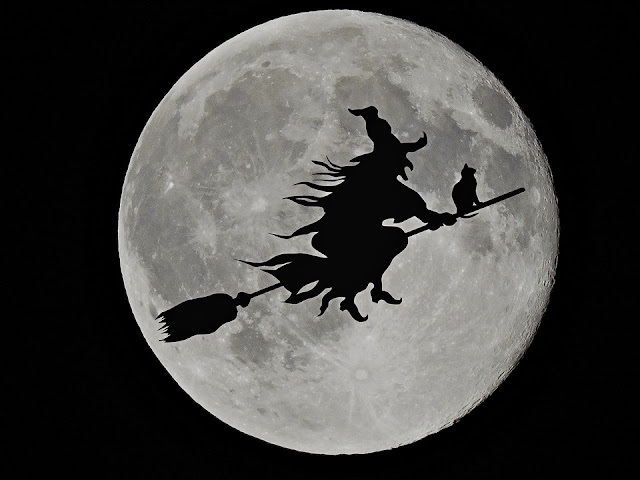 Witches and cat familiars go together like werewolves and full moons, but how did the association begin? Cats were worshipped as embodiments of the gods in Ancient Egypt to the extent that when a pet cat died, the whole family would go into mourning. There would even be a ceremony to send that cat off to the other world. The reverence was there, but all that changed years later. The term witchcraft came from "craft of the wise". Witches brewed potions to heal the sick, and help people. The Catholic Church didn't like that people were going to witches for help and spread propaganda that their powers stemmed from the devil. 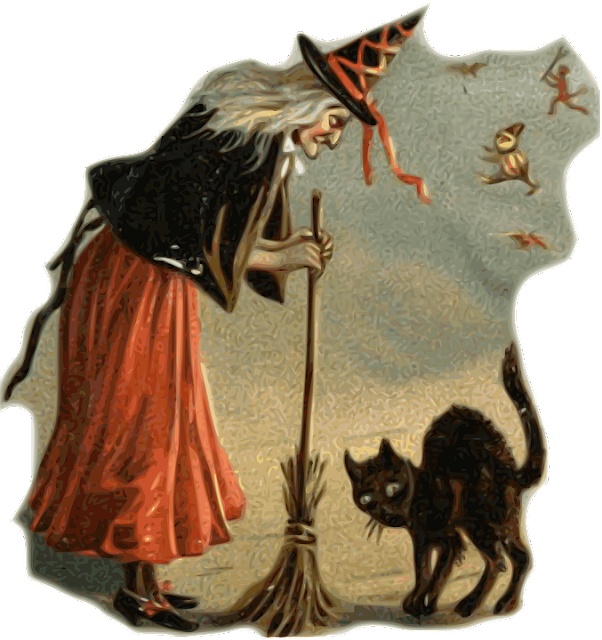 Witches were known to commune with nature, animals are closer to nature than humans, therefore it was common for them to have animal companions ~ often cats. Cats are nocturnal, and as far as the church knew, witches held their meetings at night. Witch persecutions began, and sometimes their cats were killed too. In the 14th century black cats were killed with the assumption they were in league with the devil. Cats are not listed in the Bible, but since they hiss and have glowing slits for eyes like a serpent, it's no wonder they are evil incarnate. Those evil purrs get me every time. The Celts believed that cats were humans forced to return to this earth for doing bad deeds. 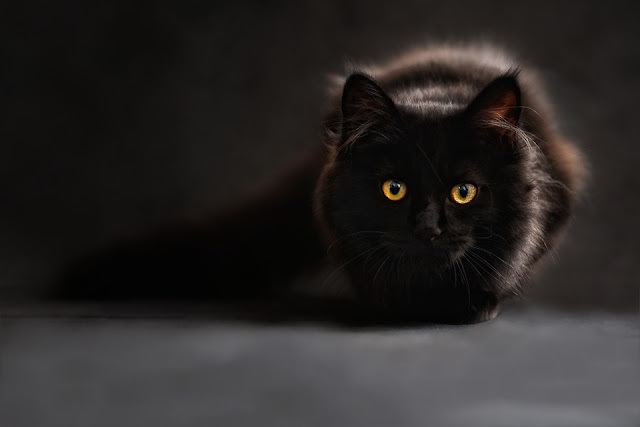 So stories were made up of witches turning into black cats. But in reality cats and witches have a lot in common being wise, resourceful, and independent. Cats and people can be drawn together and form a lifelong bond. We are all survivors in this crazy world! Some fun tidbits about cats, it is said they can feel psychic vibrations. They can guide you by seeing and hearing things you cannot. They are in tune with ghosts and spirits and will alert you to them and chase unwanted ones away. Supposedly they can predict the weather and spells are said to be more powerful with cats around too. 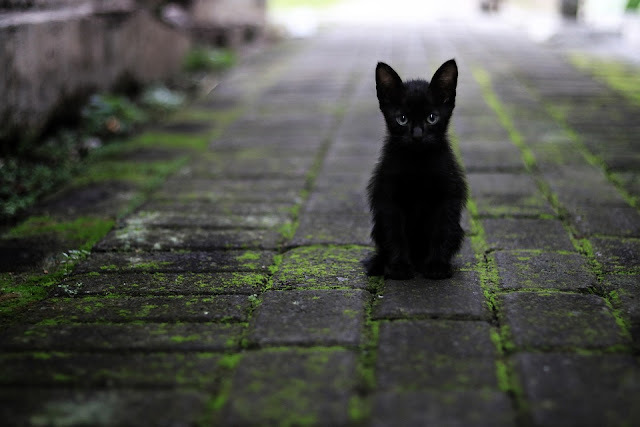 In Japan and Russia black cats are thought to be good luck, probably because they never experienced the witch hysteria. In Japan, if a single woman has a cat it's meant to attract handsome suitors. In Scotland if a cat appears on your doorstep it's a good omen. Well duh, we know they aren't bad. With a cat you will always have mystery and magic in your home, along with a couple hairballs. Cats have power over us and I'm happy to be under their spell.